Facebook is no doubt a great social networking platform but like every other social networking platform there are certain cons related to Facebook also. 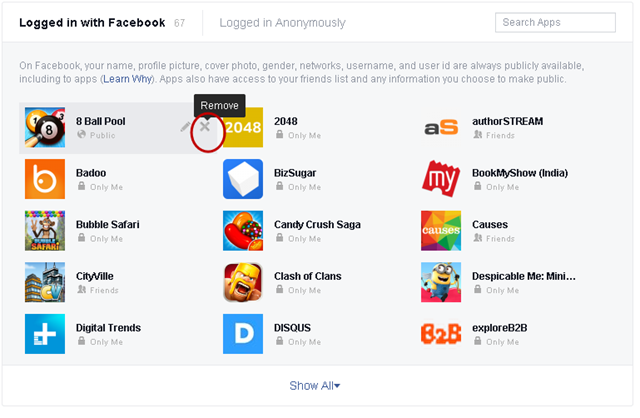 There are many applications or games available on your smartphone which can be logged in with your Facebook profile, hence while logging in you end up providing certain rights to those applications. Those rights sometimes include tagging your friends while posting any kind of image or they may also post on your behalf. These kind of activities by these applications are really annoying, hence it is important that you should revoke such access rights from these applications. In this article we will tell you that how you can revoke such rights and uninstall those applications from your Facebook profile. Just follow the steps mentioned below. 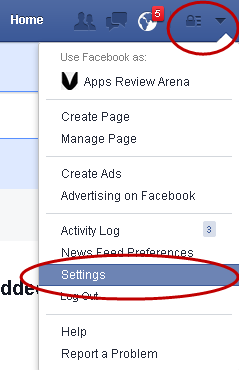 Login to your Facebook account and Click on the Down Arrow as highlighted in the image below. Go to Setting Option displayed in the List. 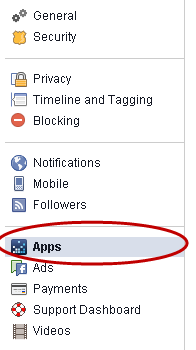 In Settings screen, click on Apps in left Column. After you click on the Apps, you can see all the Games/App connected to your profile. Hover on the Application that you want to remove and you can see the “x” (cross) symbol in front of that particular app. Click on “x” (cross). 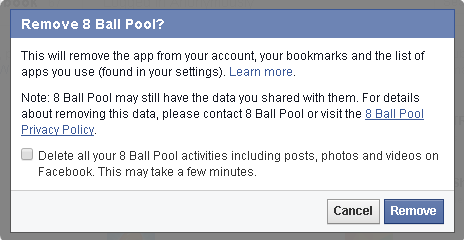 Once you click on “x”, you will get confirmation message box displayed below. Click on Remove and the job is done. The app is now removed from your account. So that’s the way you can get rid of such applications. Facebook profile is more likely a social media representation of your personality in front of million of people available on that platform. Hence, you can never let such applications ruin it for you. Let us know your opinion about this feature or tip and stay tuned to know more about such features available over such popular platforms.